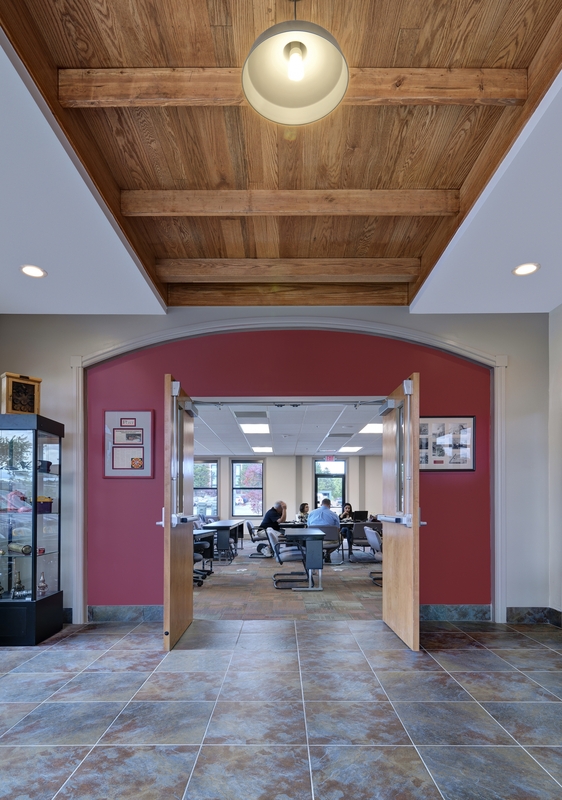 The project was successfully accomplished with creativity, a collaborative spirit and focus within a team environment fostered by PARTNERS from the initial concept and beginnings of the project. 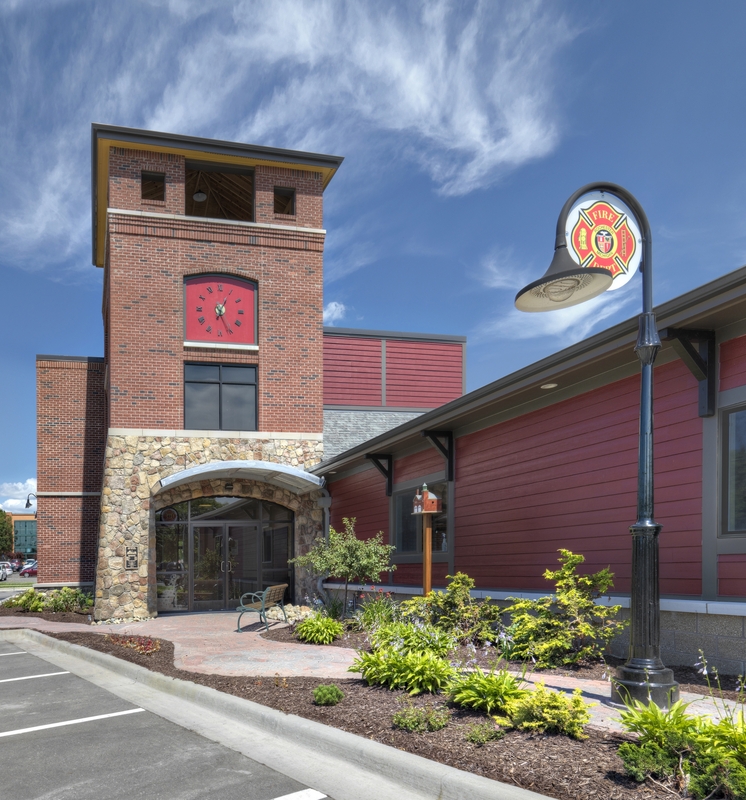 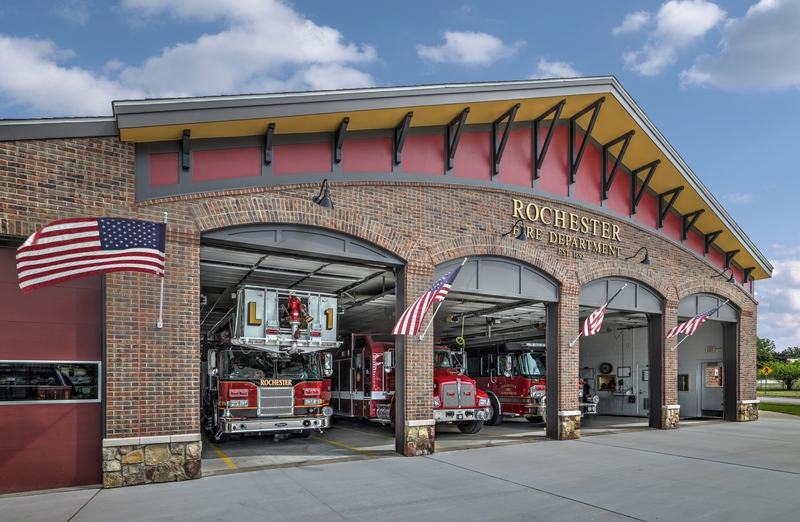 The main challenge posed to PARTNERS was to redefine the current fire station image and integrate a traditional architectural style that would mask the existing industrial look and marry with the new addition. 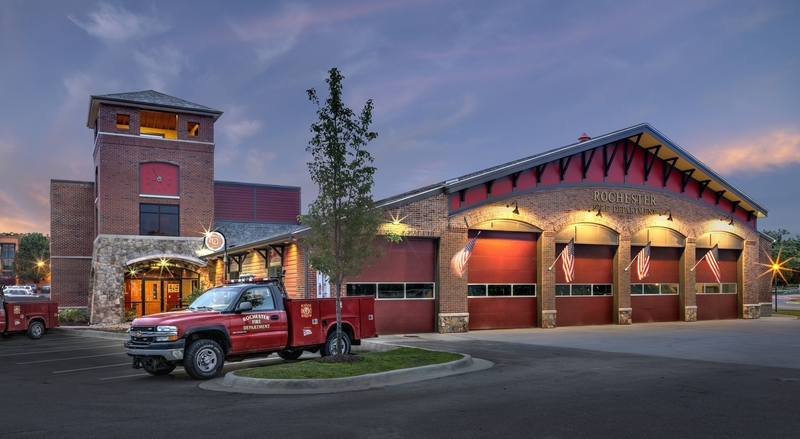 The project was shaped by a limited budget of $400,000, including architectural and engineering costs, so value decisions and a balancing of even minor budget influences were necessary at every step of project development and during construction. 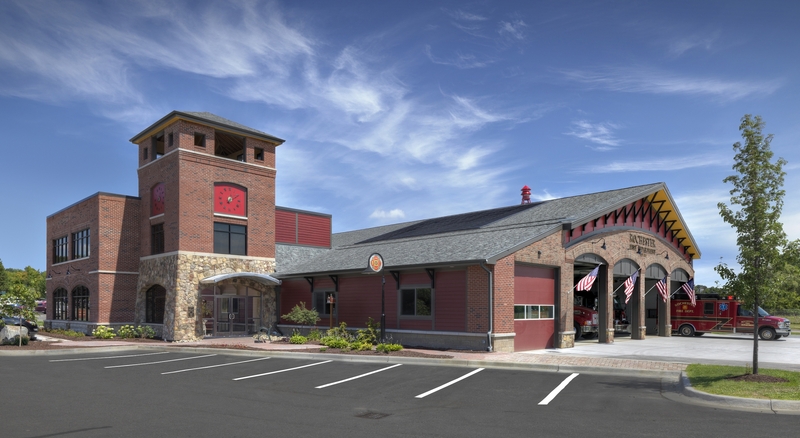 Improvements included code deficiency upgrades, accessibility modifications, site improvements, complete façade transformation, interior renovations and a two-story addition of 4,200 square feet including a firefighter’s pole, fire watch tower, pre-function lobby space, community meeting and training room, public restrooms, dormitory living quarters and staff facilities.